excellence in handbell artistry through performance, education, and community. Back Bay Ringers (BBR) is an advanced, auditioned community handbell ensemble based in Boston, Massachusetts. Founded in 2003, BBR has quickly developed a reputation for excellence, regularly performing at such Boston-area landmarks as Faneuil Hall, Symphony Hall, the Boston Children’s Museum, and the Prudential Center. Back Bay Ringers has also performed in festivities associated with the 2004 Democratic National Convention as well as the Boston Marathon, as well as ceremonies associated with the tenth anniversary of 9/11. BBR has recorded three CDs. BBR’s first recording, Merry and Bright: A Celebration of Carols with the Back Bay Ringers, was released in 2007. BBR recorded Perpetual Motion in the summer of 2010. The ensemble’s latest recording, Comfort and Joy, was released in December 2013. BBR is committed to preserving and promoting Boston’s key role in the history of our instrument. The first community handbell ensemble in the United States was founded by Beacon Hill resident Margaret Shurcliff in the early twentieth century. More than a hundred years later, Back Bay Ringers is proud to honor that tradition and carry it into the twenty-first century by exposing new audiences to handbells, in Boston and beyond. BBR was founded as the nation’s first handbell ensemble dedicated to members and friends of the LGBT community, and it remains open and affirming for membership, board, and community. Under the leadership of artistic director Griff Gall, BBR has grown into one of the country’s most innovative handbell organizations. 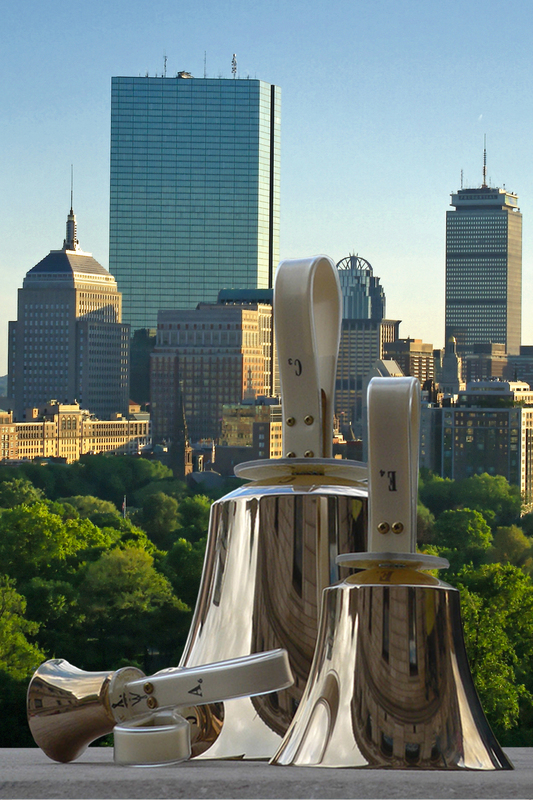 In its short history, BBR has founded the Boston Handbell Festival, a yearly celebration bringing together the region’s best community and church handbell ensembles, with the proceeds donated toward the purchase of handchimes for a Boston-area public school. It has also commissioned two original works, sponsored a workshop with a noted handbell composer, and performed concerts around the Boston area and throughout the Northeast. BBR’s members and directors have become leaders in the national handbell community as clinicians, organizers, and administrators. In addition to its renowned touring ensemble, the Back Bay Ringers organization has sponsored development of two additional ensembles. Back Bay Carillon (BBC) is a locally-based ensemble that focuses on fundamental ringing techniques, performing at such venues as Children’s Hospital Boson, the Boston Children’s Museum, Goddard House, and United Teen Equality Center in Lowell. Back Bay Quartet, BBR’s third sponsored ensemble, is an advanced-level small ensemble that has received national attention for its dynamic performances and original arrangements. In 2008, the quartet performed a full-length holiday concert at Boston University. Through exhilarating and artistically sensitive performances, a high-profile online presence, innovative community and educational programs, and community involvement, BBR is fast becoming one of the region’s most exciting small arts organizations. Handbell ringing across the country is becoming increasingly popular through the efforts of professional and community ensembles as well as those affiliated with churches. Boston has a unique connection to the history of handbell ringing. In the early 1900′s Margaret Shurcliff, a resident of Boston’s Beacon Hill, brought back from a England a collection of eight handbells. Over the years her collection grew, as did her love of ringing. 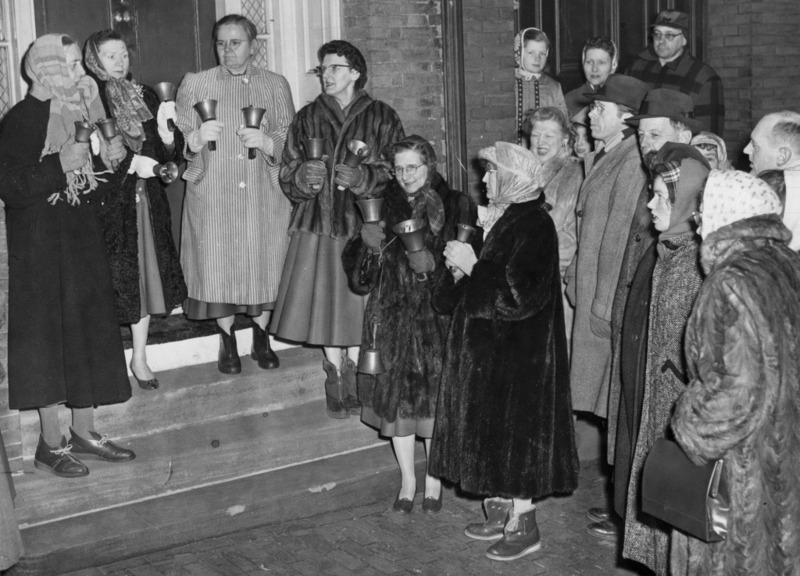 Her Beacon Hill Ringers, the country’s first community handbell ensemble, became well know for their caroling at Christmas time as well as other performances throughout the year. Ms. Shurcliff’s work promoting the art of handbell ringing culminated in the first American handbell festival in 1954. Festivals were designed for the purpose of “spreading new ideas and exchanging music techniques and information.” Back Bay Ringers hopes to continue in the tradition of Ms. Shurcliff’s work here in Boston, by creating an organization dedicated to promoting handbell ringing as a unique musical art for that can be enjoyed by diverse audiences.